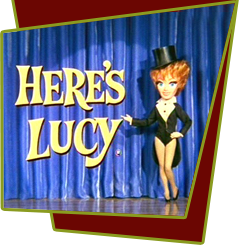 Lucy books comedian Phyllis Diller to entertain at a local Chamber of Commerce charity affair, which the mayor attends. When Diller develops laryngitis at the last moment, Kim persuades impressionist Jim Bailey to fill in for her, unbekownst to Lucy. Bailey impersonates Phyllis Diller and does a great number, "Fever" with Lucie Arnaz. Special Notes: Jim Baily's impression of Phyllis Diller is spot-on. Lucie Arnaz's performance excelled in this episode with Jim Bailey. The musical moments between the two showed the obvious chemistry they had between them. Lucie was separated from her husband, Phil Vadervort at the time and had an attraction to Jim and his good looks and talents.